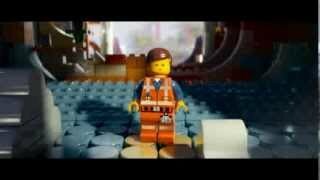 The LEGO Movie: Videogame — трёхмерный платформер от студии Traveller's Tales. Игра основана на одноимённой киноленте и рассказывает о простой фигурке LEGO по имени Эммет (Emmet), которого ошибочно приняли за героя, способного остановить злого тирана. Поэтому Эммет отправляется в опасное приключение, к которому он совершенно не готов. The LEGO Movie Videogame — это, пожалуй, вершина эволюции «Лего»-жанра. Как и сам бренд детского конструктора эволюционировал до собственного голливудского эпоса, собирающего сотни миллионов долларов по всему миру, так и проект по мотивам превратился в игру, не уступающую по постановке, динамике и количеству «вау»-моментов самым дорогим экшенам в мире. И при этом, заметьте, она не растеряла свои фирменные качества. So many LEGO games have taken us through our favorite movies, like Star Wars, Harry Potter, Indiana Jones, or Lord of the Rings, but they always ended up being a satirical take on an established franchise. The LEGO Movie Videogame takes a chance and creates an entirely new world, while bringing what they’ve built over the years together as well, snapping all the pieces into place for an epic adventure where the everyman is the hero, that carries with it a good message. Another smash-and-collect game featuring everyone’s favorite building toy. This time around, it’s based on the new animated movie and offers many of the hilarious characters fresh off the screen. A little bit of fresh gameplay livens up this entry, but a few story and camera problems hamper the experience somewhat. Ultimately, The LEGO Movie Videogame is great fun and perfect for fans of the fantastic plastic. Созданные из «Лего» миры (кажется, это первая игра, где из конструктора сделано абсолютно все) пленят своей гибкостью: многие декорации можно обратить в кучу деталек и выстроить из них что-то другое, и хотя даже в игре для каждой постройки нужна специальная инструкция, процесс завораживает. Если вы только начинаете знакомство с играми LEGO, LEGO Movie: Video Game прекрасно подойдет для начала; видавшие любую прошлую игру серии, повторимся, почувствуют себя на вечеринке старых друзей. И заведут кучу новых. It's hard not to be excited by this title, one that feels so fresh compared to past games and is the best take on a movie tie-in we've seen in a while. Fans of the games will get something new, fans of the film won't feel like they're playing a retread, and fans of the Lego blocks have a game that feels totally Lego. Result. The LEGO formula may continue working for now, but eventually the series will have to evolve in order to remain fresh. The LEGO Movie Videogame represents a potential tipping point for the series in that it’s the first time its source material actually interferes with what makes the otherwise bland gameplay unique. This is still a very good game and a worthy addition to any LEGO fan’s collection, but the series’ seams are definitely starting to show. This video game adaptation expands sequences seen in the motion picture, but does a lousy job delivering its story. It plays out more like a selective highlight reel than a flowing narrative. Big, crucial plot points are not included, and while the game supplies hilarious new moments and jokes for many of the characters (especially Vitruvius), the humor and cameo appearances are mostly absent. It's not a bad game, but it's not a "must have" either. The LEGO Movie Videogame does a decent job telling the movie's story and being its own licensed tie-in game -- to its own licensed tie-in movie. Thankfully, both are fun in their own right. A fun LEGO game, but not among the best that the series has to offer, which is a real shame as the story going on around the average levels is top notch and probably one of the best. If you’ve seen the The LEGO Movie though then you can probably give The LEGO Movie Videogame a miss without too many regrets. The Lego Movie Videogame provides enough entertainment that transfers over reasonably well where most movie tie-in games fall flat on their face. Optional characters more interesting than the lead damages the game's narrative. 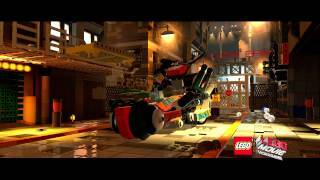 Much like The Lego Movie is a surprisingly great film, The Lego Movie Videogame is a surprisingly good game. Unlike the former, unfortunately, it falls notably short of greatness. It’s a game that was clearly designed for an adult and child to play together, as the challenge is never too great and the mechanics never too deep. Fans of The LEGO Movie are in for a treat, and kids wanting to experience Emmet’s adventures as opposed to just watching them are definitely in for a thrill ride. However, anyone growing tired of the LEGO game formula will likely find nothing here to reignite that love. The Lego Movie Videogame is a faithful take on its source material, with just enough of the film's content missing to make it worth getting out to the theater, but not so much that the game's narrative becomes difficult to follow. The LEGO Movie Videogame extends a concise and hilarious film into a much longer and less consistent interactive experience that sometimes dips into boring territory. The LEGO Movie Videogame recaptures much of the charm and playability of its forebears by rehashing their hallmarks, but doesn't quite have the same appeal. Местами забавная, но абсолютно второсортная игра. Авторы не стали утруждать себя новыми идеями, просто-напросто взяв давно проверенную основу. Раз за разом проходить одно и то же, честно говоря, надоело. There's nothing wrong with The Lego Movie Videogame, but it just doesn't have the same appeal as other entries in the series. Neither a good Lego game nor tribute to the movie—at best, The Lego Movie Videogame is enough fun to be called a functioning promotional product.